About a week ago, Riviv JC was asked to bring a little gardening to the students of school #20. I decided the best way to get kids interested in eating health and growing their own food is to just let them do it. 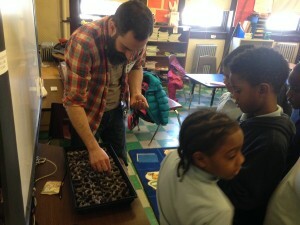 I packed up some seeds and soil and headed to the Greenville section of JC to meet up with Miss Gordon and her students. 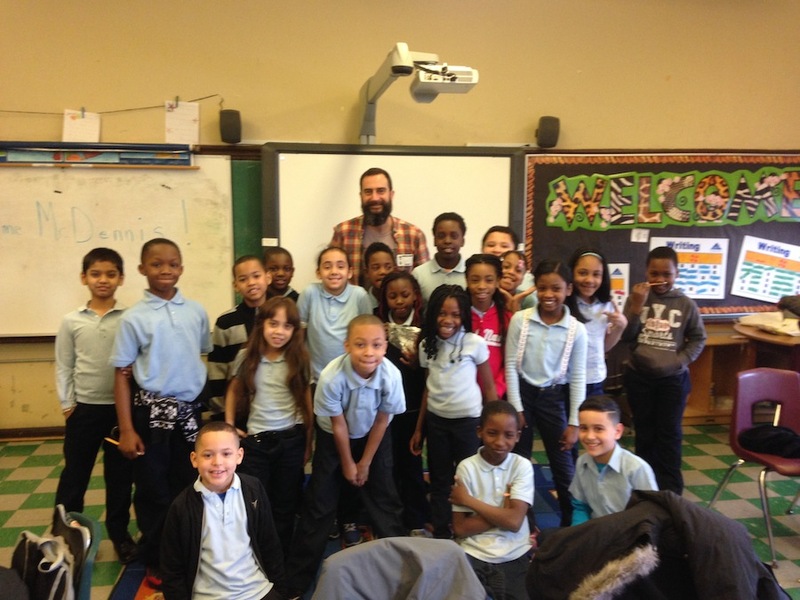 With dirt in hand, people had no idea what this crazy bearded guy was doing signing in with security but I made it up to the classroom to find a room full of bright eyed first second and third graders. Most of them had never been exposed to real “dirt” before. 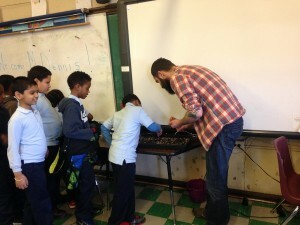 Some of them had no idea where their food even came from but all were excited and interested in learning. I first explained to them where food came from and how it is made. Like me, some were not at interested in learning in this way so we got down to business and got dirty. With my helpers in hand, Maurice and Kejohn, one by one they lined up to take a few seeds, place them in the soil and cover them with soil. There was not a child in the room who was not willing and excited to “get dirty”. The effect we had on these children was wonderful and it felt so good to show these little leaders of our future that they too can live a healthy and bountiful life. 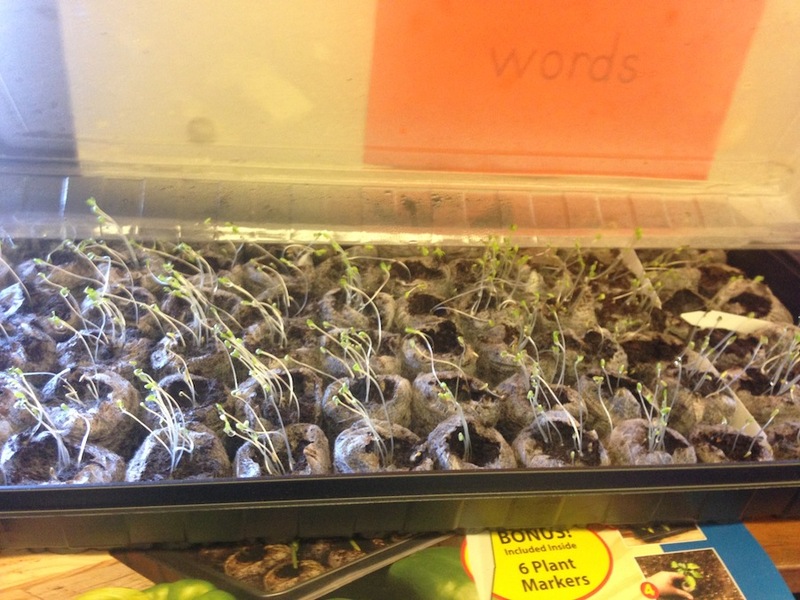 A few days ago the kids sent me a photo of the progress of the seeds and you can see, just like kids, they gravitate towards the light. 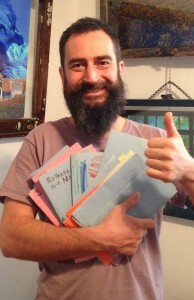 Today I received a stack of cards thanking me for taking the time to show them how and where their food comes from. I was amazed on how much they truly enjoyed doing this. I believe that if we are going to make a difference on this planet our main focus needs to be our kids. 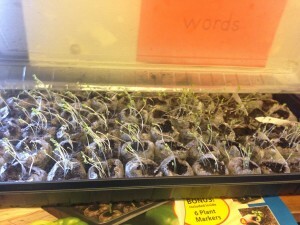 Just like the little seedlings they too want to gravitate towards the light but like so many children out there that light is never turned on. Please be a part of the solution, plant some food and take the time to light a kids path.